Choose from our Fiesta Newport Beach Cruise with live Latin music complimentary chips and salsa, and a unlimited drink special of only $15 (icy legendary Newport Beach margarita is highly recommended)! 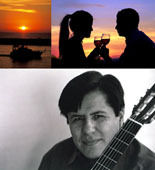 Or our Newport Beach Sunset Cruise with beautiful sunsets, live Spanish music, complimentary chips and fresh salsa, and of course the unlimited drink special of $15! Both cruises are 1 ½ hours and tour Newport Bay as well as the famous Newport Beach coastline. Featured artists both recognized and undiscovered in a venue unique to Orange County. 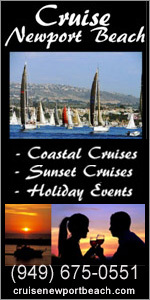 Cruise price normally $25 - Mention Orangecounty.net And Get $15 Sunset Or Evening Cruise Rate! Please visit the Envy Lounge calendar for event dates and to sign up for their newsletter. Enjoy the breathtaking ocean view at OverVue Lounge at Laguna Cliffs Marriott Resort in Dana Point. 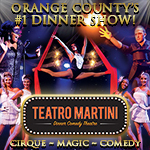 The premiere concert facility in Orange County, featuring a large variety of musical and comedy acts including many name acts that would otherwise play at larger venues. Seating is arranged around tables, smaller cocktail style tables and the bar. Roughly half of the seats are reserved for the dinner crowd. 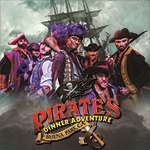 This 550-seat theater/dining venue hosts shows featuring performers from a variety of musical genres including country, metal, punk, dance and alternative rock. The Observatory also gives exposure to the local scene, holding numerous local band showcases and adding on unknowns from Orange County as openers on larger bills with National acts. This 1,000-capacity, two-story venue, with separate restaurant is located in Downtown Disney in Anaheim. Most shows are general admission with very little, if any, seating. The club also offers a gospel brunch every Sunday. This versatile indoor venue hosts more than 250 events annually ranging from concerts to comedy to corporate and private events. Havana Mania...if you've never tried Cuban food, this is the place to check out! A one-on-one introduction service for singles of all ages. Members are located in the counties of Orange, LA, Riverside, San Bernardino and Ventura. Call for a free appointment. After you tell our staff the characteristics that you are looking for, you will view the members' pictures and profiles BEFORE you decide to join. The service is more personalized than an Internet dating site. Each member fills out a 7-page application revised by Dr. Greg Cynamoun. You will learn about members' walk with the Lord, characteristics, goals, morals, values, political stand and much more. 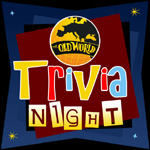 Our company also sponsors rotational dinner dances, speedy introductions, cruises, bunco, karaoke, retreats, seminars and many other fun events for singles. Let our chauffeurs transport you and your party with the utmost professionalism and affordability. In addition to acting as designated drivers, the Your Car, Our Driver, Inc. team can drive you to and from nightlife spots, sporting events, concerts, the airport or just about anywhere else you need to go – and do so with ultimate convenience. Drivers are available year-round for three-hour minimums most days, and the rates are surprisingly affordable. Reservations can be made conveniently online. Club Hopping in the OC is best done with a chauffeur and a limousine. White Rose Limo is a limousine company in Orange County that knows how to impress a crowd! We have every kind of limousine you could want including: Party Limo Buses, Mercedes Limousines, Hummers, Bentleys, Excursions, SUV Limousines, Cadillac Limos and even Lamborghini Limos. Each OC limousine is fully equipped to ensure your party doesn't stop even after you leave the club, restaurant, game or concert. Renting transportation for a night out in OC is a great option for safety, convenience, and luxury.